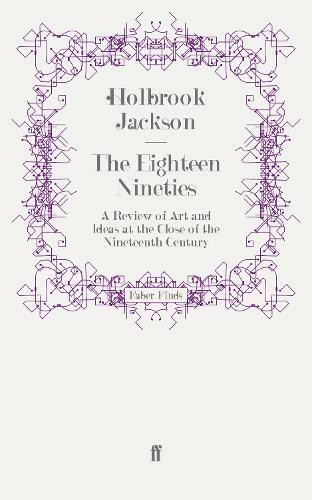 First published in 1913, Holbrook Jackson's The Eighteen Nineties is without doubt the authoritative work on the raffish, scandalous and tempestuous 'Yellow Nineties' of Beardsley, Wilde, Beerbohm and the rest. An exceptional prose stylist, Jackson reviews the awakening of the 1890s before the Great War. The realisation of new possibilities, and the intent to live life more fully and intensely, aroused quite new passions and enthusiasm. He interprets the decade in terms of personalities, arguing that the period has quite a distinct character. It is an extraordinarily self-contained and rich period in the arts and besides individual works of art, its relics are certain moods, attitudes, fantastic anticipations. Jackson synthesises the various movements and relates them to one another, to their foreign influences, and to the main trends of British national art and life.